I was hoping for a ribbon at the local quilt show, but didn’t win anything. I loved the process of using the Lil Twister ruler. 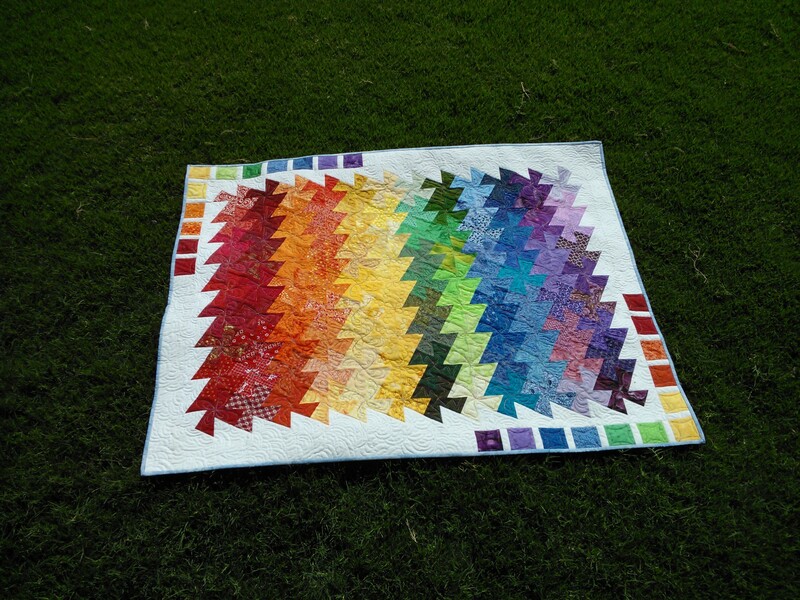 Pinwheels have been my favorite block from the beginning of my quilting career, and watching them emerge as you cut the squares from a plain grid of colors is lots of fun. 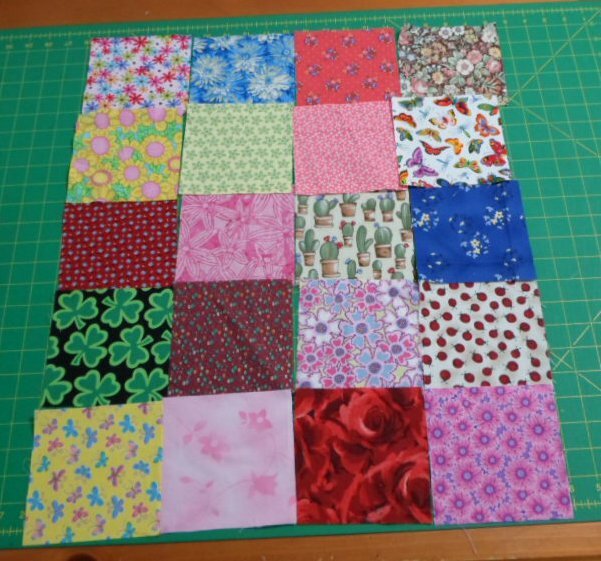 Last night I thought of a fun layout for a new twister quilt…a flower garden! So, I went stash diving and cut a few five-inch squares. I have a few oddballs in there, like the shamrocks and potted cactus. Fun or too much? When I look at the photo, the smaller prints may have to go since they don’t read as floral. Then I want to add a pieced border, which means sitting down with paper and pencil to work out the sizes and how to turn the corner. If it turns out as cute as it is in my head, I’ll offer detailed instructions.